Dolomite is an anhydrous carbonate mineral composed of calcium magnesium carbonate. Dolomite stimulates the metabolism of calcium and magnesium and keeps a balance between the two. It is used by healers to stabilize health, especially blood, the heart, and circulation. It dissolves cramps. It encourages self-realization. It also fortifies a sense of tradition and helps us acclimate to new communities. It promotes moderation and alleviates negative emotions. 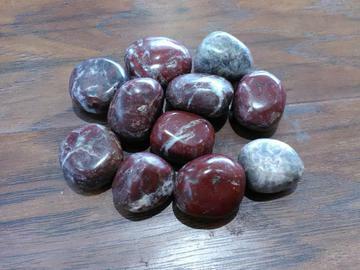 Stone Sizes Range From - 1" - 1 1/4"